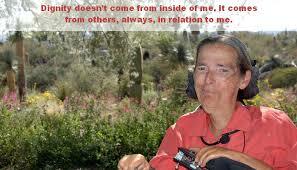 Catherine Frazee - “The Vulnerable”: Who Are They? This article was originally published by the virtual hospice on March 31, 2016. We must protect the vulnerable, the Supreme Court told us in its landmark decision establishing a limited right to physician-hastened death in Canada. In my work with the federal External Panel appointed last year to facilitate a national consultation on physician-hastened death, there was wide agreement. On March 1, an impressively diverse coalition of advocacy, faith and medical organizations issued the Vulnerable Persons Standard, a clear articulation of what protections for vulnerable people should include. There is very little argument that our new regulatory scheme for hastened death must build in safeguards to protect the vulnerable. But what exactly does this much-repeated phrase mean? Who is vulnerable, and why? To be vulnerable, quite simply, is to be without defence. For some persons – infants, toddlers, persons with extensive and severe impairments – vulnerability may be intrinsic to their condition of life. Without muscle to flee or resist, without words to request or refuse, without art or philosophy to reinvent or transcend, such persons are nearly fully at the mercy of others. Yet even in these most seeming absolute expressions, vulnerability presents itself by degrees. The infant born in Oshawa in 2016 shows herself in fact to have robust defenses, compared to the infant born simultaneously in Aleppo, Syria. Likewise today’s toddler with Down syndrome from Kamloops is doubtless far less vulnerable than was her counterpart in Hadamar, at the peak of Nazi rule in 1941. Vulnerability is as much a matter of context as it is of personal condition. In this way, for each and every one of us throughout life, vulnerability is situational, experienced when our defenses are stripped away. Paradoxically, we are all vulnerable, yet many of us do not know vulnerability. For the most part, it remains an abstract notion about which we have little visceral sense. Without conscious attention to the mounting of protections, we have matured into adulthood and accrued the means to feed and clothe and shelter and keep safe our fragile and needy bodies. We acquired skills and knowledge, we built strength and savings and social networks, we found homes, jobs, love and meaning. And so we are not without defence – we have locks on our doors, clothes on our backs, food in our refrigerators, numbers on our speed dial. Supporting these simple phases of our ‘independent’ adult development, are of course massive commitments of public investment and regulation – a veritable arsenal of defense to shield us from our human vulnerability: systems of health, education, job creation and public works. Most of us do not need to attend to our own vulnerability. When we adjust the thermostat, flush the toilet, place our garbage at the curb, the state takes over. When we purchase raw poultry, cross a busy intersection, install a new smoke detector, the state has our back. If we are vulnerable but don’t know it, that is because the social contract is working in our favour. Only when our defenses fail – Walkerton comes to mind, or the Ice Storm of 1998 – do we experience the full force of our vulnerability and urgently scramble to our backup defenses: hospital emergency rooms for the sick, friends with woodstoves and generators for the cold and hungry. Again we find rescue, buoyed from the turbulent waters of crisis by our firm grip on the social determinants of health. Bonino is accused of having given her victims up to 10 times the usual dose of the drug, including in certain cases where it had not been prescribed by the physicians treating the patients. The result, police said, was to rapidly trigger multiple and irreversible internal bleeds which killed 12 of the alleged victims. The other one died from cardiac arrest. Police at Thursday’s press conference said the arrest had potentially averted further deaths. But local newspaper Il Tirreno suggested the hospital authorities may have had suspicions about Bonino early last year. The nurse was moved from the intensive care unit in October 2015 to a role in which she had no contact with patients. "Sadly this (the Bonino case) is not the first time that serial killings have been uncovered with a killer nurse as the protagonist," Lorenzin said. 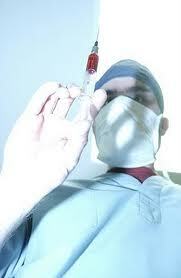 "Such action goes against every medical and ethical code. "This latest episode shows once again the necessity of careful monitoring of the oldest and most fragile people when they trust their lives to health institutions," she added. "We have to defend life with all our powers at every stage, including the terminal one. The defence of life is a fundamental value." This case follows the recent conviction, and life sentence, of a nurse for killing a 78-year-old Italian patient. In the past few years a British nurse was sentenced to life for killing two patients and poisoning 20 more. Dr Virginia Soares de Souza was charged with 7 counts of murder in Brazil. A Finnish nurse was convicted of killing 5 patients and American nurse, Charles Cullen, who admitted to killing 40 patients, but is suspected in killing 400 stated: "I thought I was helping." 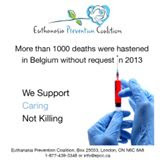 In Belgium, where euthanasia is legal, a 2013 study found that 1.7% of all deaths, representing more than 1000 deaths were intentionally hastened without request. Legalizing euthanasia leads to the perfect cover-up for murder because it gives doctors and nurses, who have a desire to kill, a alibi or a reason to carry-out their deranged actions. The Canadian Association of Physician Assistants (CAPA) have advised their members that they are not required to directly participate in physician assisted death (euthanasia and assisted suicide) but they are required to refer the patient to someone who will directly participate. Therefore CAPA is not protecting the conscience rights of their members by forcing them to refer patients to an executioner. The PA’s scope of practice is determined on an individual basis and formally outlined in a practice contract or agreement between the supervising physician(s), the PA and often the facility or service where the PA will work. health care professionals who have conscientious objections should refer or transfer a client to another health care provider. If no other caregiver can be arranged, you must provide the immediate care required. Based on the guidelines for Physician assistants and the Ontario Nurses Association guidelines, medical professionals, who work "under the direction of physicians" have not been had their conscience rights protected by their medical bodies. Conscience rights, for these groups of medical professionals is essential because they do not have the absolute freedom of choosing what patient group that they will work with and they usually work under another medical professional. The Canadian Association of Physician Assistants and the Ontario Nurses Association should be working diligently to respect the rights of their members. n July 2014, Professor Theo Boer, who was member for nine years of a regional review committee in the Netherlands, wrote an article that was published in the Daily Mail urging the British parliament to reject assisted suicide. 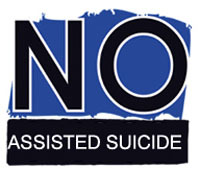 Boer then gave the Euthanasia Prevention Coalition permission to publish the full text of his article titled "Assisted Suicide: Don't go there." On March 28. Professor Boer published a significant critique of the Netherlands Euthanasia law under the title: Rushing toward death? Boer first explains how euthanasia became legal, and how the law works in the Netherlands. Boer then explains why he originally supported the Netherlands euthanasia law. Although I was skeptical about this legislation at the beginning, I could and can imagine the exceptional case of killing a patient when nothing else can ease unbearable suffering. ... It was and is my conviction that some form of legalization of assisted dying may be needed when public support reaches a certain level. This is a matter of democratic respect. This is why I agreed to join one of the review committees 11 years ago. Boer explains that in 2007, the practise of euthanasia started changing. Boer then examines the outcome of the cultural shift toward euthanasia. The dramatic shift in the Dutch and Belgian approach to death was documented in the Australian film Allow Me to Die, which features the case of Simona, an 84-year-old Belgian woman (link to the film). Only minutes after receiving news of the sudden death of her daughter, Simona decides that she too wants to dies and asks her doctor to help her. After treating her unsuccessfully with an antidepressant, Simona’s doctor decides to grant her request. Boer then examines the question of the original intention of the euthanasia law. This article was first published by National Review on March 25, 2016. That is now happening in Netherlands and Belgium, where doctors are on the lookout for mentally ill and people with neuromuscular disabilities who want to be killed and harvested. The dead donor rule states that donation should not cause or hasten death. Since a patient undergoing euthanasia has chosen to die, it is worth arguing that the no-touch time (depending on the protocol) could be skipped, limiting the warm ischemia time and contributing to the quality of the transplanted organs. It is even possible to extend this argument to a ‘heart-beating organ donation euthanasia’ where a patient is sedated, after which his organs are being removed, causing death. So this is where we are morally in Western society: A respected bioethics journal, published under the auspices of the British Medical Association, no less–can bloodlessly discuss changing the law to permit putting patients under anesthesia and killing them by direct organ removal–and there is nary a note of protest. Allow me: There could be nothing more cruel and abandoning to despairing people than telling them their voluntary deaths have greater value than their continuing lives. Oh, one thing: Pushing society to think that too. The culture of death corrupts and corrodes societal morality, medical ethics, family relations, and common decency–indeed, everything it touches. Belgium - Organ donation, presumed consent, euthanasia. A just published article in the Journal of Medical Ethics argues for allowing killing by organ removal as a form of euthanasia and organ donation. More, over at The Corner. When a patient is determined dead on the basis of either circulatory or neurological criteria, the treating physician is legally allowed to remove his organs for transplantation. In case of donation, three non-treating physicians, who are not involved in the transplantation procedure, should independently determine death. The law explicitly states that relatives should be enabled to say farewell to the deceased as soon as possible after the donation procedure. In the immoral utilitarian milieu that now reigns in Belgium, this means that that doctors could look upon all “suffering” patients as potential organ suppliers. That could easily influence how they discuss treatment options, and lead to subtle persuasion for euthanasia–without discussing the organ issue. One, however, needs to avoid the public having the perception that anyone who is ill and willing to donate his organs will be able to undergo euthanasia, or that a physician would motivate a patient to undergo euthanasia because of organ donation possibility. The public needs to have confidence in the ability of a physician to judge objectively and acknowledge that strict legal criteria and boundaries regarding euthanasia and organ donation exist. Here’s the problem: Once doctors and society accepts the killing-is-an-acceptable-answer-to-suffering premise of euthanasia, eventually it won’t matter if those deemed to have a life not worth living are herded toward euthanasia–particularly if their organs are harvestable. After all, there are people who could have better lives who need those livers and hearts! If you believe euthanasia and organ harvesting can be conjoined without adverse impacting society’s adherence to the intrinsic equal dignity of human life, I have a beautiful orange bridge that links San Francisco to Marin County to sell at a bargain rate. Interested? The Rhode Island State House Health, Education and Welfare Committee had a public hearing on an assisted suicide bill on Wednesday March 23. 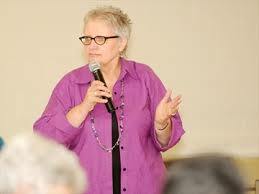 Nancy Elliott testifies against assisted suicide in Rhode Island. "consider the details of the bill. In some cases, a person who has insulin-dependent diabetes can be considered to have a terminal illness, she said." 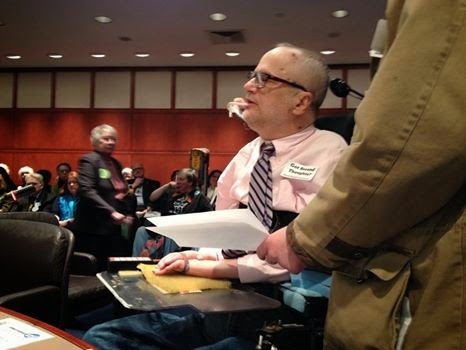 "This bill encourages people to throw away their lives,"
"Mistakes are so common when it comes to diagnoses, much less terminal diagnoses,"
"This is about putting the state's imprimatur on a program in which someone agrees that some people are better off dead." this bill makes "suicide a medical option (that) changes the very nature of medicine," adding that it would reverse centuries of trust between doctors and patients. "We have a terrible history in this country of segregating people with disabilities and pushing them into second-class citizenship," he said. 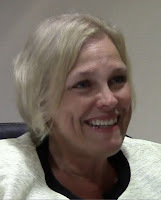 Nerney worries that this bill might lead insurance companies and Medicaid to withhold treatment for terminally ill patients or withdraw coverage for expensive medications. "She insisted that I come and speak on her behalf because this bill insults the dignity of her life,"
"She wanted to tell you that her life is valuable until that last breath and that this bill really scares her ... because someone could say, 'Well you're going to be suffering, and we don't want you to suffer. You can end it early.'" 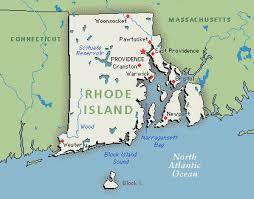 Rhode Island is one of a dozen states that have debated assisted suicide in 2016. Currently, every state legislature that debated assisted suicide also rejected assisted suicide. This is the testimony by Nancy Elliott, a former three term state representative from New Hampshire and a member of the EPC- International team. Nancy was given two minutes to testify in Rhode Island. Assisted Suicide and Euthanasia opens a huge avenue for elder abuse, from gentle coercion from medical personal to things much more sinister, particularly when the senior has money. It also discriminates against people with disabilities as most people that would qualify for this act are at that time disabled. Healthy people are protected from suicide while disabled people are steered to it. (Link to an article about some of the abuses in Washington and Oregon). It also encourages suicide in the general population. If grandma and grandpa kill themselves, when life gets hard, so will their children and grandchildren. It is a bad public policy. When suicide is a "treatment" for certain illnesses, it creates a lower standard in our overall healthcare. When doctors end the life of their patients for having certain diseases, that discourages looking for new cures or treatments. This encourages the mentality to just give up and die. This bill as with the others I have read, is not about people that are necessarily dying. A young person with insulin dependent diabetes would qualify. There are financial winners with Assisted Suicide. Where this is legal, state insurance has denied treatment to some patients, while offering to pay for their suicide. We all know someone that got an incorrect diagnosis from their doctor. With assisted suicide on the table, that diagnosis can lead to a deadly mistake, having the patient throw away their lives. At a recent Massachusetts hearing a doctor that was for assisted suicide was talking about what a good doctor was. He said that doctors need to "guide people to the right choice." As he is a proponent for assisted suicide is there any doubt what he or other doctors like him will steer their patients toward. For these reasons and many more we in the New Hampshire house have rejected assisted suicide/euthanasia. The last time was in 2014 where it was defeated on the floor of the House by 219 to 66. Liberals, Conservatives and Libertarians joined together to protect our citizens from this form of exploitation. I urge the Rhode Island House of Representatives to reject it too. 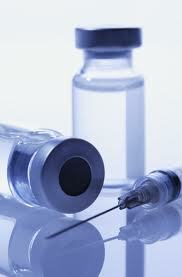 Assisted suicide ballot measure introduced in Colorado. We must protect people from assisted suicide. Recently I wrote an article about the successes in defeating assisted suicide bills in America. Since publisheding the article the Minnesota assisted suicide bill was stopped when its sponsor "pulled the bill" due to insufficient support. Considering the success in defeating bills that give doctors the right to prescribe suicide to their patients, the suicide lobby has been relentless in pushing their death ideology. For instance, this year in Colorado, a Senate Committee defeated the assisted suicide bill on February 3, on February 4, then the House Judiciary Committee passed the assisted suicide bill (6 - 5) and on February 24, the sponsors "pulled the bill" because it lacked support. Now the suicide lobby has introduced a Colorado ballot measure titled: "End of Life Options" for the November 2016 election. The suicide lobby will require almost 99,000 signatures to have this dangerous measure put on the ballot. At the same time, the sponsor of the California assisted suicide bill, which does not become law until June 9, have introduced two bills to promote assisted suicide in California. The first bill would establish a toll free death line, while the second bill would require the state health plan to pay for assisted suicide. Assisted suicide bills in New York and the District of Columbia remain as clear threats. While I whole heartedly thank the many concerned people who stopped the suicide lobby in their states, I recognize that we will need to be as relentless as the suicide lobby. Even though the suicide lobby were defeated in Colorado, they are now bi-passing the legislative process with a ballot measure. We need to be vocal about the dangers of assisted suicide and how giving doctors the right to prescribe suicide to their patients devalues the lives of people at a vulnerable time of their life. We must protect people from assisted suicide, the future of our culture depends on it. Elder advocate: it is death by doctor not assisted death. A conference on euthanasia and assisted suicide on March 21 in Ottawa examined the care of the elderly in relation to legal euthanasia and assisted suicide. public funding should not mean institutions have to act against their values by either offering physician assisted suicide or referring patients. Not only do people often change their minds about how they view their quality of life, as their illness progresses, but Wahl said she fears there could be pressure on health professionals to use doctor assisted death to free up hospital beds if patients have consented in advance. "I think it will open up the door to 'death by money,'"
Judith Wall is a veteran advocate for the elderly. The government should heed her warning. 1. A Personal story, 2. 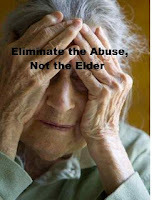 Elder Abuse, 3. Euthanasia: The theory and the reality, 4. Medical Error, 5. Euthanasia/Disability rights, 6. Euthanasia/Palliative care, 7. Euthanasia/Belgium, 8.Euthanasia for psychiatric reasons, 9. Assisted Suicide USA, 10. Abuse of euthanasia laws, 11. Conscience rights for healthcare professionals. 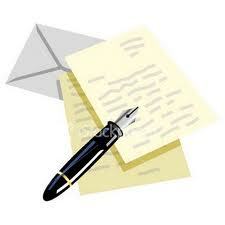 You should also send the letter to your provincial/territorial political representative. You should adjust your letter and then send your letter to the editor of your local or national newspaper. State Senator Bill Monning, author of California's attempt to legalize assisted suicide, has submitted a bill to elicit government involvement and promotion of physician assisted suicide. Mr. Monning and the Hemlock Society (now 'Compassion and Choices') have neglected to mention that the controversial assisted suicide law is not in effect, and is not assured of going into effect! It is still subject to judicial scrutiny. Nevertheless, Monning and the Hemlock promoters are recruiting state agencies to promote and engender assisted suicide in California. 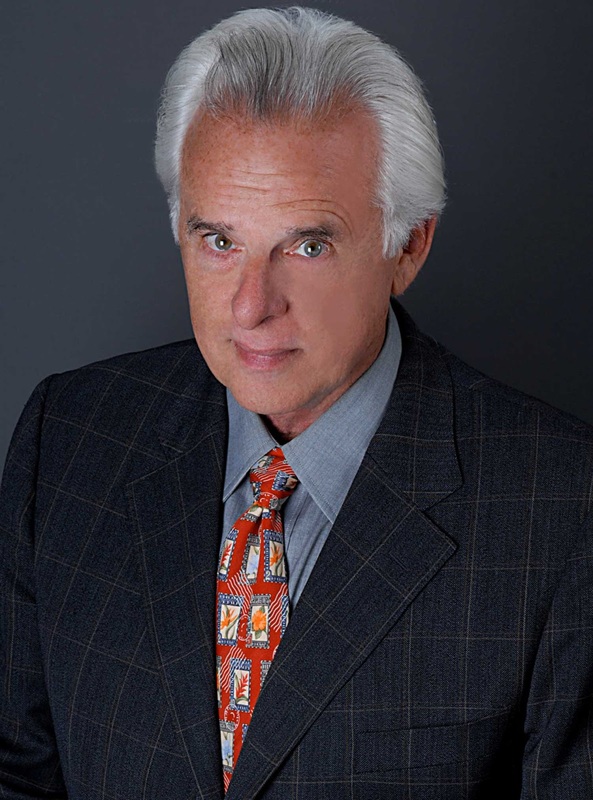 Monning's new bill, SB 1002, would change the California Health and Safety Code, requiring the State Health Department to establish a toll-free phone line to answer questions about physician assisted suicide (PAS). Any interested party, perhaps an impatient heir, can inquire about obtaining, preparing and aiding another person in using the deadly prescription. SB 1002 presents a confused government policy that would accept both anti-suicide and pro-suicide hot lines. The 'Aid-in-Dying law' (AB X2- 15) merely used verbal games and declared a special use of medicine to kill a patient with a terminal diagnosis. With a straight face, the legal conundrum thus created was 'skirted' by simply declaring, 'This [law] is not assisted suicide." But serious observers recognize it is indeed assisted suicide, its assistance and promotion. Brittany Maynard, the 'star' about whom last year's measure was centered, clearly committed suicide in Oregon and the state of Oregon concurred. Aiding a person in committing suicide continues to be a felony in California for numerous reasons including errors in medical judgment by physicians; emotionally distraught individuals making emotionally motivated decisions (there is no requirement for psychological consult); legacy hunting by family members, or even just emotional relief for unhappy family members; and perhaps most importantly, the violation of the ethical use of medicine making the medical profession participate in intentional killing. Senator Monning's Bill is dedicated to promoting what is still illegal in California, Department of Health Services is in no position to 'advise people' in how to skirt around the complexities of that crime. (CA Penal Code, Sec. 401). To register your organization opposition to SB 1002, please do so IMMEDIATELY, write on your organization letterhead. Individual opposition is also encouraged. SB 1002 is not health care. It is a bald example of ideology trumping law and logic, and government resources should not be participating in this 'legal charade'. 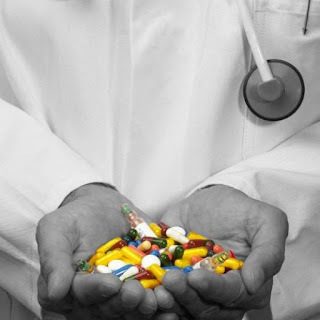 AB 2810 would have Medi-Cal funds pay for lethal 'medicine' employed in suicide of patients. Click to read. The bill has been sent to the Assembly Committee on Health and may be heard as early as this Tuesday! Click here for contact information. Please act on both of these bills now! Has euthanasia changed physician attitudes towards suicide in Québec? On December 10, 2015; the province of Québec officially sanctioned euthanasia. The Québec government passed Bill 52 in June 2014 and over the next 17 months prepared their nation for doctors having the right to kill their patients. Now we learn that some Québec physicians have been withholding life-saving treatments that could save lives with possibly no after-effects from suicide victims. In response, the Québec's College of Physicians have issued an ethics bulletin telling all physicians that there is an ethical and legal guideline to provide care even to patients seeking to end their lives. 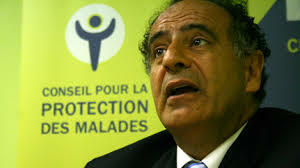 But the Québec euthanasia law permits euthanasia for people with psychological suffering. Is it possible that the confusion concerning the withholding of beneficial treatment is directly related to the legalization of euthanasia in Québec? A survey of Québec doctors (April 2015) indicated that there is significant confusion concerning withholding and withdrawing treatment and an earlier survey of Québec medical specialists (October 2009) indicated that there was significant confusion concerning what constituted euthanasia and palliative care. 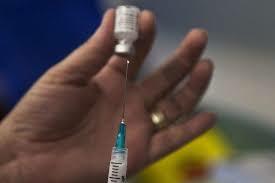 The fact is that the Québec euthanasia law insists that euthanasia is a medical act, which it is not, and that patients have the right to refuse treatment and autonomy. It should not shock people when Québec physicians respond to these edicts by medically abandoning suicidal patients. Historically Québec has a very high suicide rate. 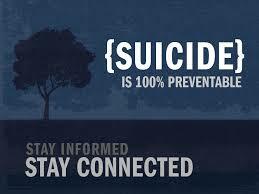 In the past few years, suicide prevention programs have led to a decreased suicide rate. Let's hope that the legalization of euthanasia will not create a suicide contagion effect, leading to higher suicide rates in Québec. 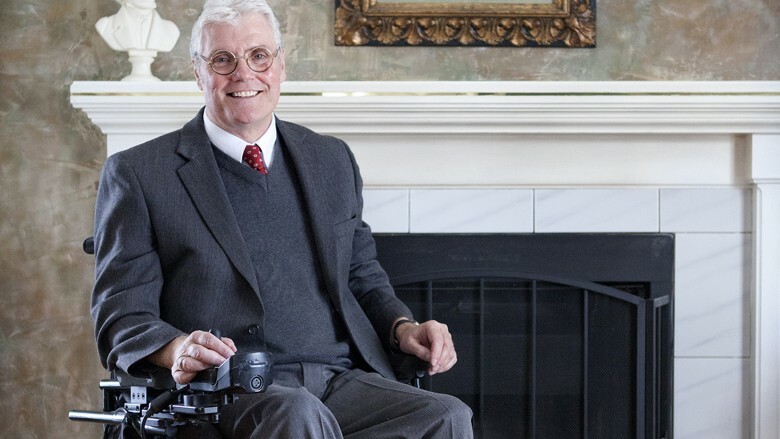 Disability activist, Mark Pickup was interviewed for the documentary The Euthanasia Deception that will be released in June. Mark Pickup was diagnosed with MS at the age of 30. Mark explains that at the 2 - 3 year point, with MS, that his grief was so deep that he would have considered euthanasia. Mark is happy to be alive. Watch and share this short Youtube video of Mark Pickup. The Mark Pickup segment is a short promo video for The Euthanasia Deception a documentary that exposes what euthanasia laws can do to a country’s culture. Heart-wrenching testimonies along with medical, legal and expert analysis reveal the sad truth about euthanasia and assisted dying: all of us become vulnerable when life and death matters are handed over to lawmakers and doctors. 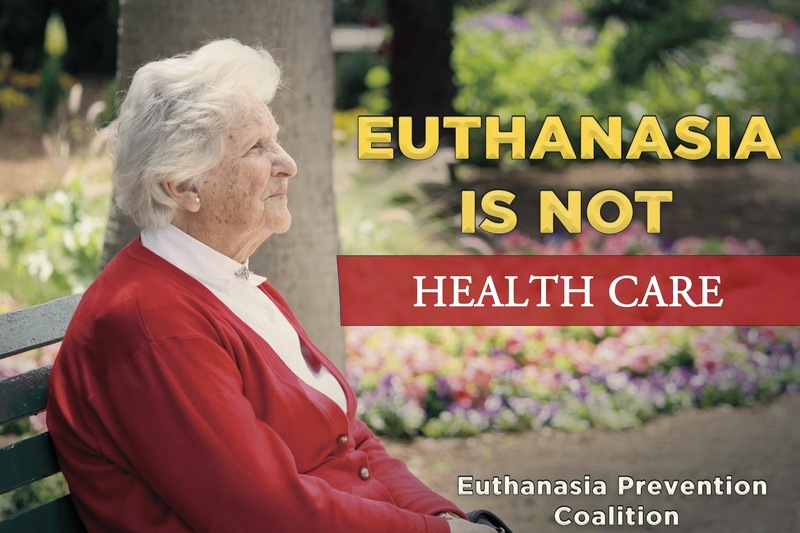 The initiative is being produced by the Euthanasia Prevention Coalition in association with DunnMedia & Entertainment is made possible through the support of generous donors like you.